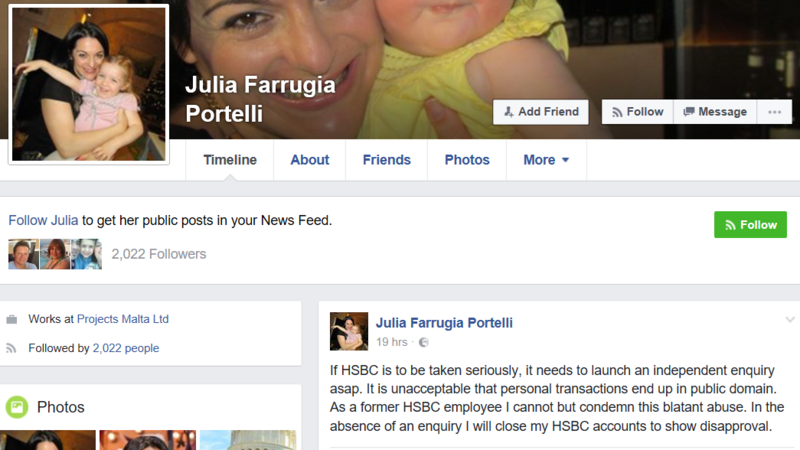 Two former employees of the Labour Party’s television station, Julia Farrugia and Alex Cutajar, who since March 2013 have received salaries in ‘positions of trust’ working for Konrad Mizzi, Minister Within the Office of the Prime Minister who is responsible for Projects Malta Ltd, have started an anti-HSBC Bank and are promoting and circulating it on Facebook. Alex Cutajar is a communications coordinator in Konrad Mizzi’s office, and Julia Farrugia is a communications coordinator at Projects Malta. 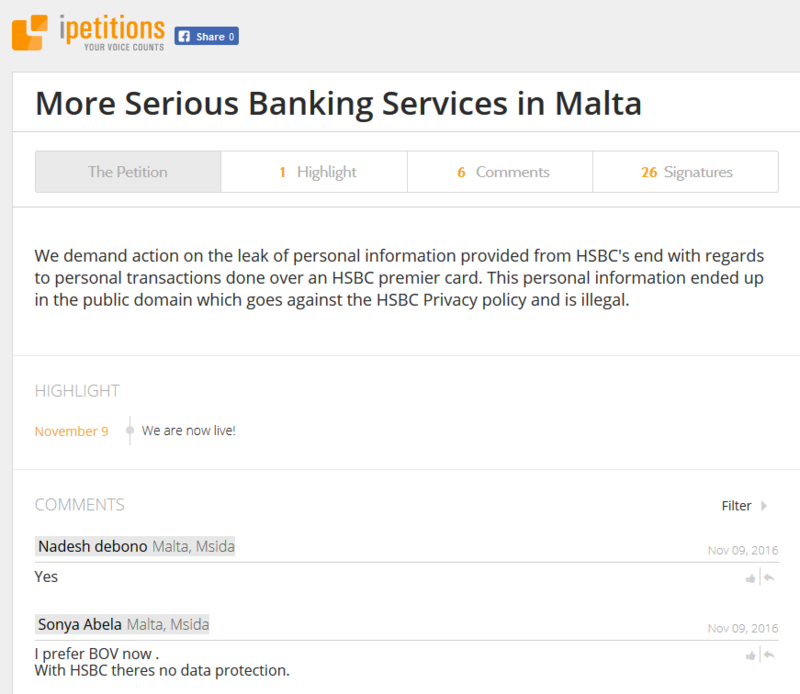 They have based their petition on the false assumption that it was somebody at HSBC Bank who leaked Premier card details of the Prime Minister’s chief of staff, Keith Schembri, which included three payments he made to a private hospital in Rome and also his hotel and dinner payments. They are hamstrung in their attempts at getting a wider audience for the petition because, so as not to mention Keith Schembri or his medical condition and hospital treatment, they have had to leave the reason for the petition completely obscure and general. The result is that people don’t know what they’re on about. And unhappily for them, the two couldn’t be more wrong. Nobody at HSBC Bank leaked anything. Of course not – that is a criminal offence with a potential penalty of imprisonment. No, the card statement in question is among the large tranche of documents pertaining to Keith Schembri that are found in the Panama Papers. They came from Mossack Fonseca’s server. It is one of the statements that Schembri had been using to try to get access to another bank, for his secret offshore companies. 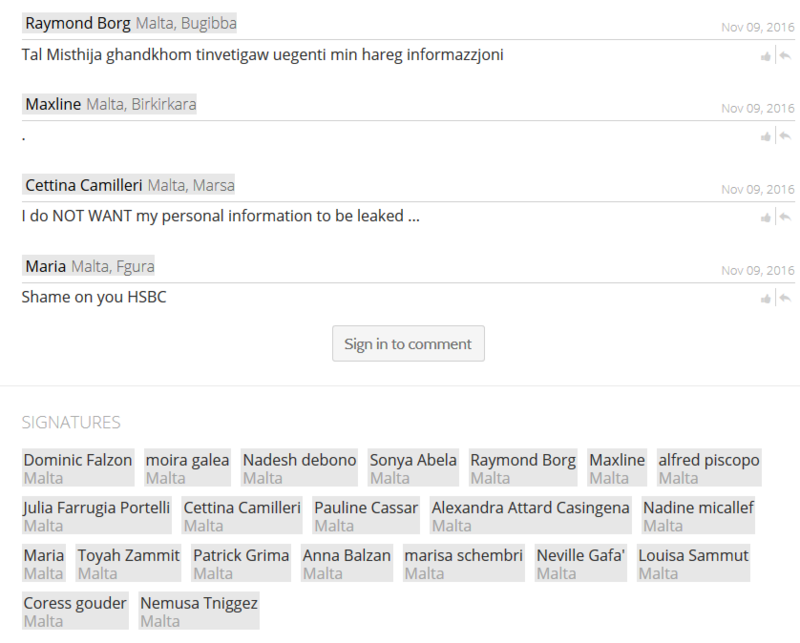 Both The Malta Independent and the Times of Malta – Panama Papers partners in Malta of the International Consortium of Investigative Journalists, have access to the actual document, as do hundreds of other media organisations and journalists across the world. I’m sure that if Konrad Mizzi’s people ask them nicely, they’ll agree to publish the actual thing, and lots more besides.